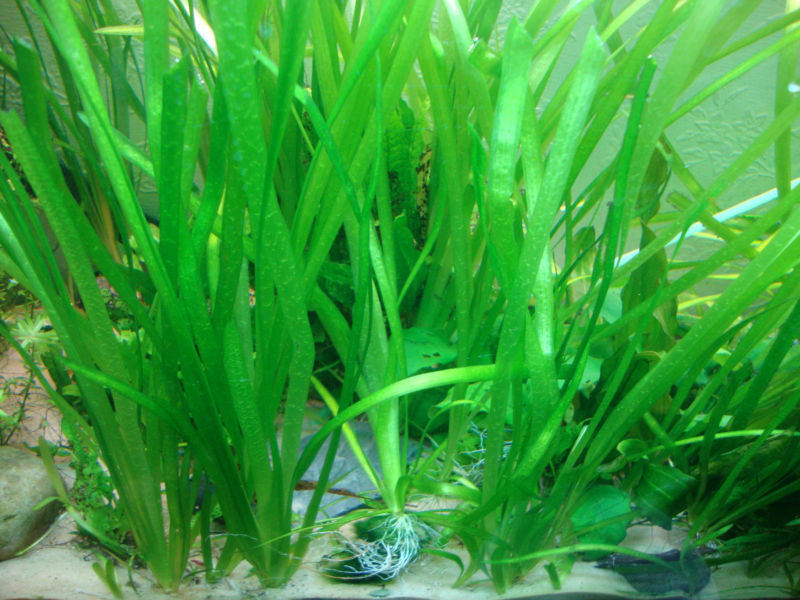 Vallisneria plants widely used in water gardens as aerators due to their easy propagation and ease of maintenance. They are grass like plants with roots and should be planted or anchored at the bottom of the pond. They can grow several feet high but in pond environments they can have their tops trimmed. There are several species of Vallisnerias that can be used as oxygenators in ponds, but the most popular among pond keepers is the Jungle Vallisneria due to the thickness of its leaves. Below is a video of Jungle Vals in an aquarium.